SECURE YOUR FITBIT AND KEEP IT SAFE: many Fitbit owners have lost their Fitbit wristbands when they fell off. Do not be one of them! This simple insurance will keep your Fitbit safe. SIMPLE AND FUNCTIONAL: Slide the ring over the clasp when you put on your wristband - simple! MIX AND MATCH: One ring is enough to keep your wristband safe, but why stop with one? Add more bands for a splash of colors on your wrist. 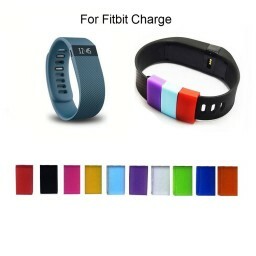 With the included colors you literally have millions of ways to vary the looks of your wristband. Approved people will buy the product from Amazon.ca using the promo code provided. The code is not allowed to be posted on any blogs or sites. VERY EASY CAMPAIGN!!! Just an Amazon seller and product review!